Music has always been used to help us tell stories. Think of incidental music in plays, the music in songs, musicals and operas; and soundtracks to movies and video games. But music also tells its own stories. Each instrument has such a distinctive voice – and I figure, if you mix together the most famous melodies that have been written for a particular instrument, you’ll find a fantastical character emerges – a character with a magical story to tell. Starting this weekend on CBC Music and on In Concert, the show I host on CBC Radio 2, the instruments of the orchestra come to life on Orchestral Tales, a brand new season of The Signature Series. I’m pretty excited to share this – I’ve been working hard on this along with Denise Ball, the executive producer of In Concert. 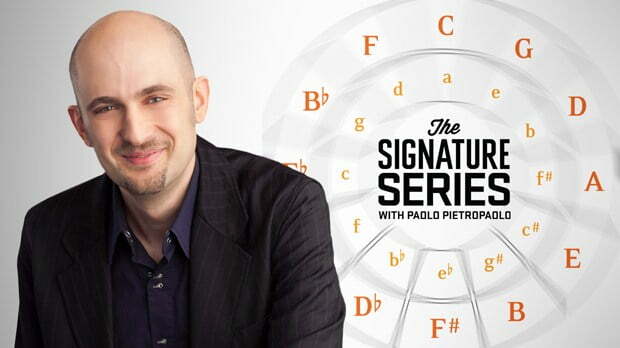 On the previous seasons of the Signature Series, you met personalities based on the major and minor key signatures. On Orchestral Tales, you’ll meet vivid characters inspired by the instruments of the orchestra. Follow along here – new tales will be published every Friday for the next ten weeks, starting on Friday, January 6th. The Prix Italia is one of the most coveted awards in broadcasting in the world. 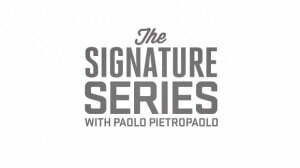 It’s an incredible honour for me and for my co-producer Denise Ball to announce that the Signature Series has won a 2013 Prix Italia in the category “Work on Music”. “In a series of 5 minute programmes the listener is invited to discover how particular musical key signatures have been used by composers over the centuries to define certain specific human characteristics. The jury found that this was an innovative and simple format that was extremely effective in helping to bring new listeners to classical music. By personalising each key signature – B minor: the dark romantic, A minor: the faded beauty – each programme takes the listener through a broad range of classical music genres and others, all very skilfully edited together, to form a specific character. This is continued online in the programme’s ingenious website which invites the listener to identify with a particular key signature, and share it with others. I feel thrilled and very lucky that this the 2nd time one of my programs has been awarded a Prix Italia. The first was for my series The Wire: the Impact of Electricity on Music, co-produced with Chris Brookes and Jowi Taylor for CBC Radio 1. The Goddess Athena from Greek mythology. The notes: D – E – F♯ – G – A – B – C♯ – D.
The Blue Danube by Johann Strauss, Jr.
Waltz of the Flowers from The Nutcracker by Tchaikovsky. “Past in Present” by Feist. When I was a kid, like many kids, I took piano lessons. I remember in my imagination all the different notes had their own personalities. I don’t know why, but I felt particularly sympathetic towards C-sharp. I felt sorry for him, for some reason. I wasn’t overly fond of F-sharp, and E always seemed cheerful. Lately I’ve had a chance to revisit the idea of each note having its own characteristics with a new series I’ve been working on for CBC Radio called The Signature Series. If A Major were a person, who would she be? 2. Gather the most famous melodies composed in that key.